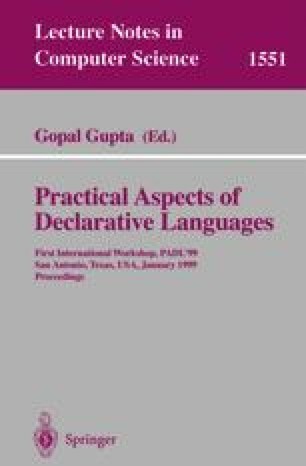 A rule-based language is proposed for product configuration applications. It is equipped with a declarative semantics providing formal definitions for main concepts in product configuration, including configuration models, requirements and valid configurations. The semantics uses Horn clause derivability to guarantee that each element in a configuration has a justification. This leads to favorable computational properties. For example, the validity of a configuration can be decided in linear time and other computational tasks remain in NP. It is shown that CSP and dynamic CSP can be embedded in the proposed language which seems to be more suitable for representing configuration knowledge. The rule language is closely related to normal logic programs with the stable model semantics. This connection is exploited in the first implementation which is based on a translator from rules to normal programs and on an existing high performance implementation of the stable model semantics, the Smodels system.